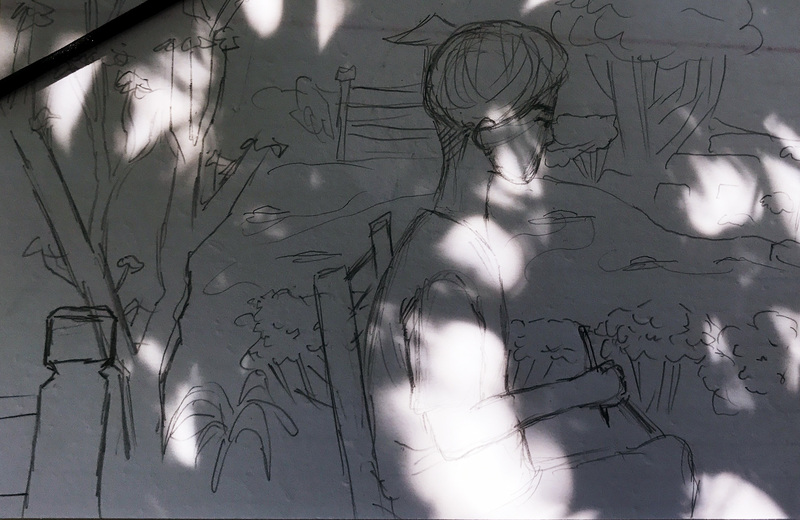 This art activity was really fun especially because of how calming the garden is. In total we had to do 7 different sketches all which required us to time ourselves and no erasing. 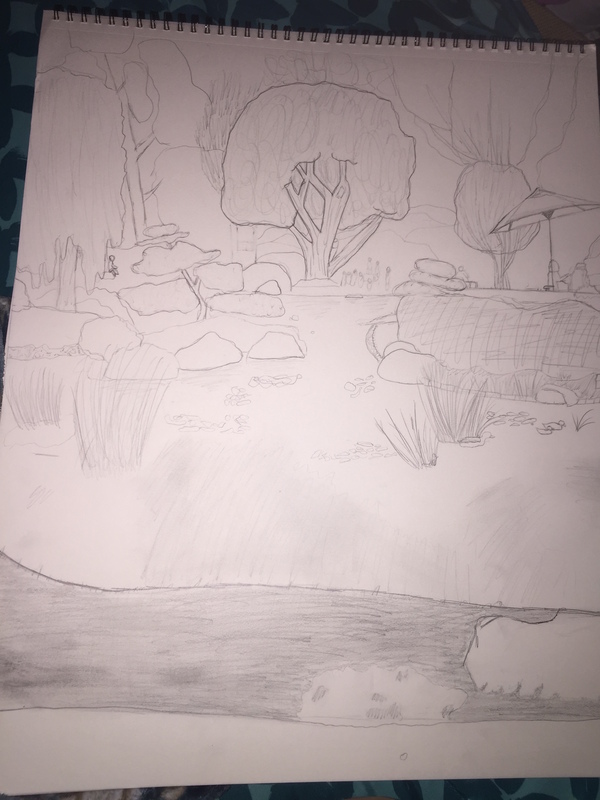 At first I thought this activity was going to be very easy but as I began to sketch I found myself wanting to fix the small mistakes that I was doing. However, I got the hang of the process and loose drawing. 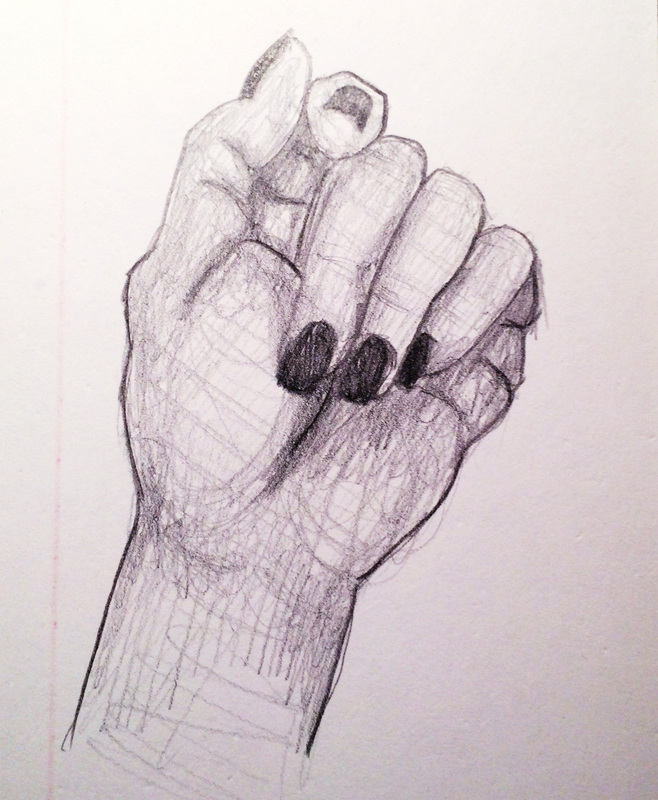 My favorite sketches were the 10, 30-second sketches. 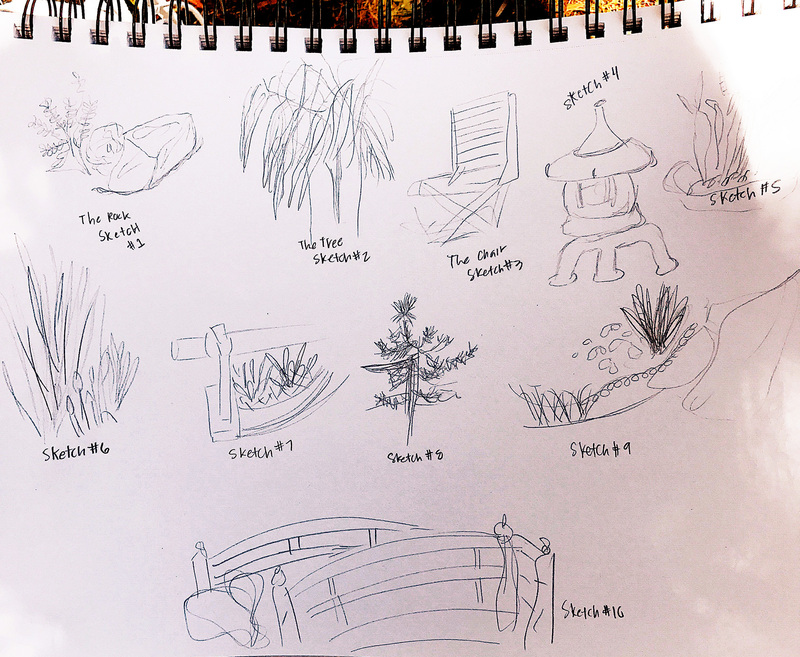 I enjoyed these because I was able to find the perfect seating area and find small objects to draw. 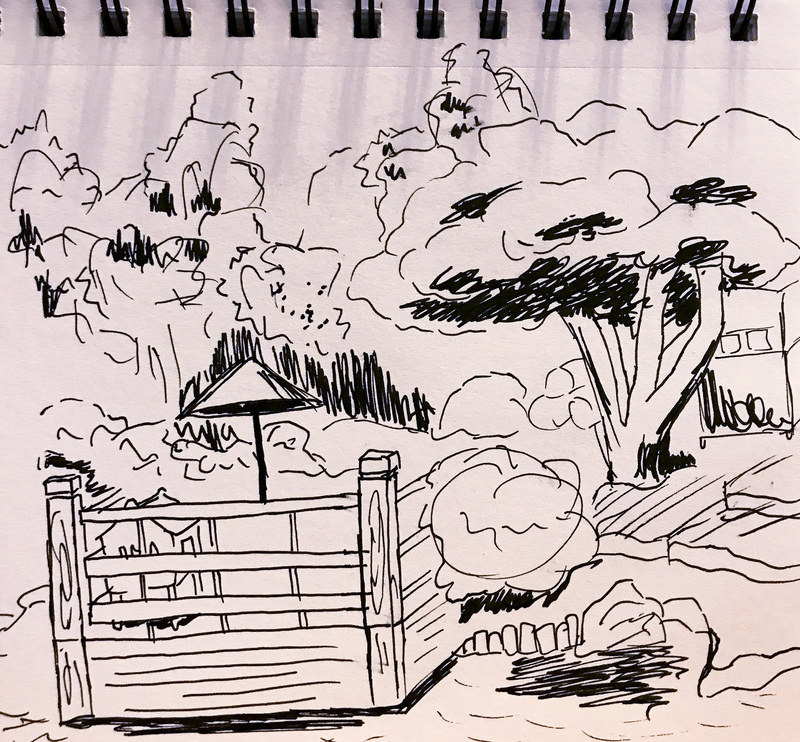 While I was here I also found myself moving to different areas to find small hidden gems to sketch. Also it was so peaceful being at the gardens especially since finals are coming up: it was nice to distress and distract my mind from all of the upcoming assignments. 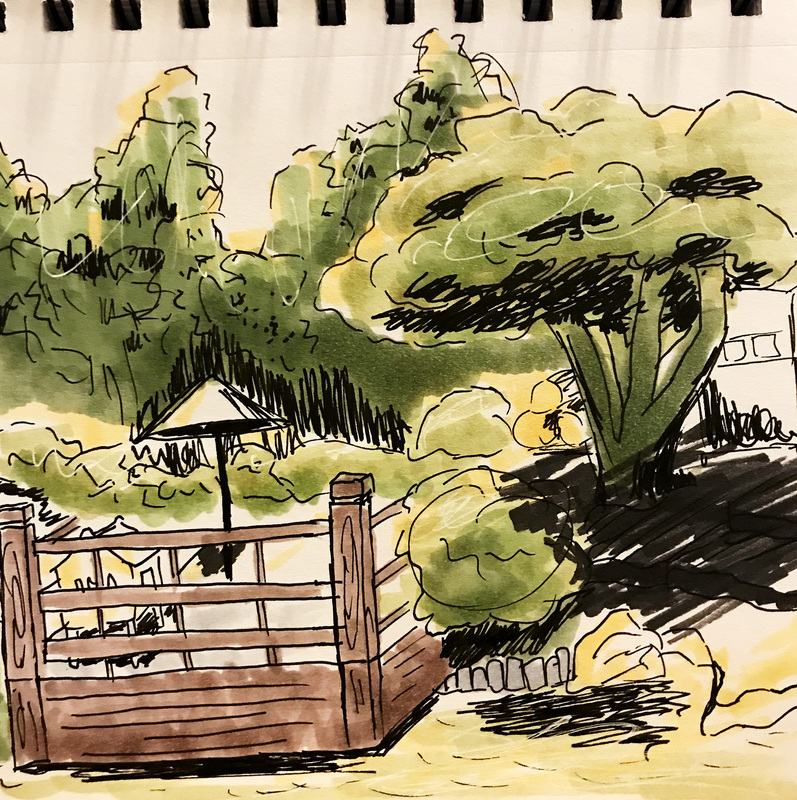 Overall, I had a great time sketching at the Japanese Garden. The time went by super fast and I didn’t finish sketching until 2:30. I wish that we could have come more often to sketch with the class but in all I had a great time doing this activity. The art experience for this week involved doing ten 30 second sketches and two 5 minute sketches. I hate being timed for art, but it’s an evil necessity that sometimes has to happen. I find it that when you start drawing, you often spend too much time putting in too much detail to one area and then the painting might never get done because you spend to much time on it. Having a time limit on how much you can draw can really challenge you to draw what needs to be drawn, not all the details. Who cares if you don’t get it right the first time?! If I remember correctly, that might be the reason Glenn gave us a time limit, but I think it was also because he wanted us to draw the impressions of the things we saw. Which, if I think about it, might be what I was trying to say before anyway.